Does your business need a website makeover? Many businesses can benefit from a website makeover to present a more modern image to their users, especially the growing number of people using mobile devices. Websites which were designed only a few years ago may not be presenting the right image for your business. The good news is that as you already have much of the content, a website makeover does not need to cost a fortune or take a long time. Here are two home pages from a recent project – the ‘before’ on the left and the ‘after’ on the right. 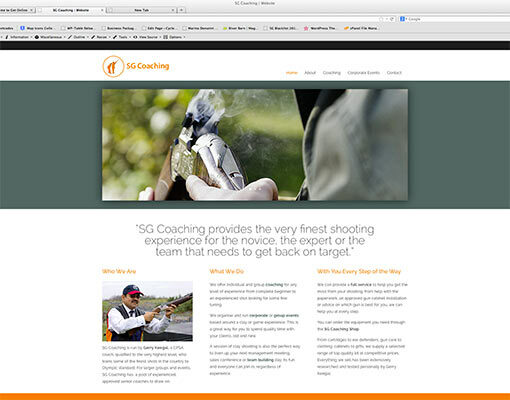 This is a website makeover for a clay pigeon shooting coach and illustrates very clearly why every business owner needs to revisit their website every few years to make sure its still do a good job to promote their company. This is a good example of the ‘before’ site being written a few years ago when the accepted standard was to design websites so they looked good on the type of monitor that most people were using at the time. The scale is the same for both images and it shows how the ‘before’ version which was designed to fill an 800 pixel x 600 pixel screen (the most common resolution at the time) looks very dated on a modern high resolution screen. Even on the humblest of today’s crop of laptops an 800×600 layout looks out of place. Advances in the languages that drive the web especially HTML and CSS allow us far greater control over layout, styling and interactivity all improving the visitor’s experience of using a web site. The bottom line is that technology moves forward at an astonishing pace and that shiny website that wowed your friends and customers a few years ago just won’t cut it any more. Its not just high resolution screens that are changing the game. 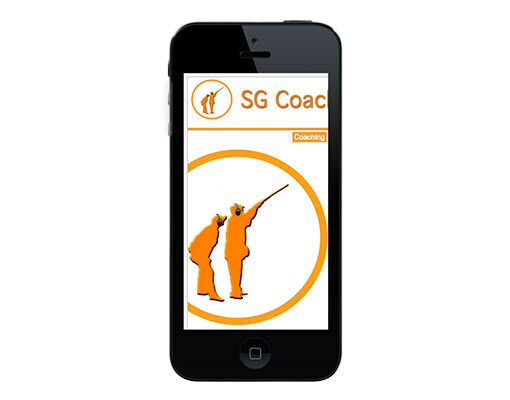 At the other end of the scale we are also increasingly using smartphones and tablets to view web pages. Here the challenge is even more acute – these screens are much smaller and often a different shape altogether than the traditional desktop monitor. 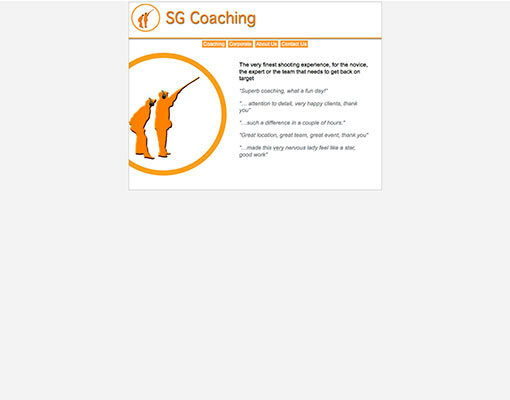 Here are the ‘before’ and ‘after’ versions of the website as seen on a smartphone. The ‘before’ version on the left was designed before mobile devices became popular for web browsing and before we had a good way to adjust the size and layout of a web page to suit the screen being used to view it. The content appears on the smaller screen with the same resolution and layout as the desktop screen and so really doesn’t fit. This time the web page is too big for the screen and most of the content falls outside the viewing area. The best the visitor accessing this site on a phone can hope for is is to be able to scroll around the page to find the information they want. Not a very rewarding experience. The ‘after’ version, however, has been designed from the outset to be fully ‘responsive’. This means that site has been designed to flex and adjust both the size and layout of the content depending on the device the visitor is using. This makes for a much more satisfying experience on smaller screens and means the content can be delivered in the way that best suits the user. Best of all – this is handled by a presentation layer – the underlying structure and content of the website remains the same across all devices making updates and maintenance much easier. 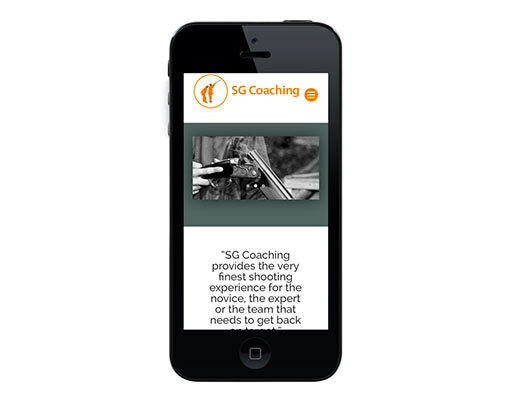 There is no need anymore for most websites to have a separate version for handheld devices. There are some other issues which may be affecting visitors to your site who want to use handheld devices – for example some of the technologies that web designers used to use to make websites more animated and eye-catching simply will not work on most tablets or phones. If your website is getting long in the tooth – it may be a good idea to consider a website makeover. The good news is that you probably have a lot of the content and revamping a site is a great opportunity to tackle those other problems you have found – like the difficulty many business people find in getting simple changes or additions to their sites. A website makeover which icludes the addition of a content management system or CMS like WordPress will address this one nicely.